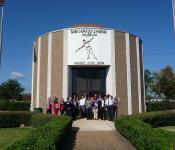 Babe Didrikson Zaharias Museum pays tribute to the World's Greatest Female Athlete. 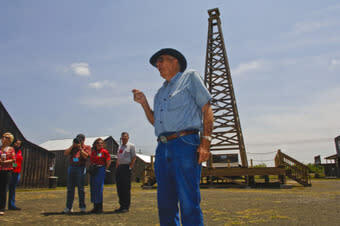 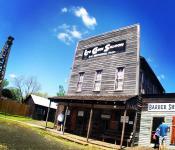 Spindletop Gladys City Boomtown offers visitors a glimpse back in the wildcatter days of Beaumont as a boomtown. 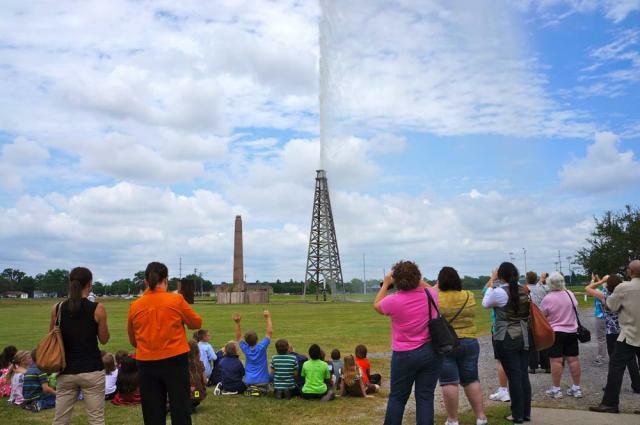 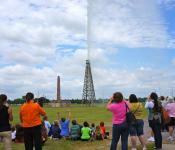 Visitors watch as the replica Spindletop Lucas Gusher blasts water 120 feet into the air at the Spindletop/Gladys City Boomtown Museum. 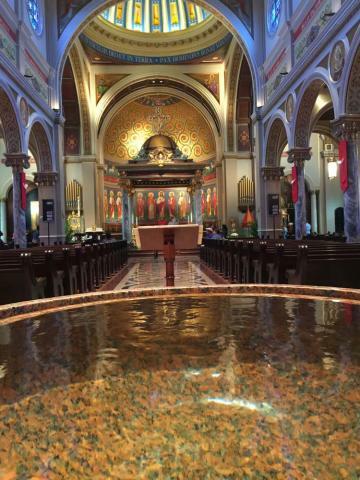 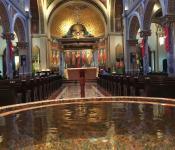 Inside of beautiful St. Anthony Cathedral Basilica, part of Beaumont's Faith Trail Itinerary. 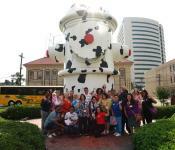 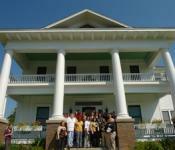 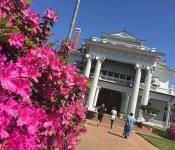 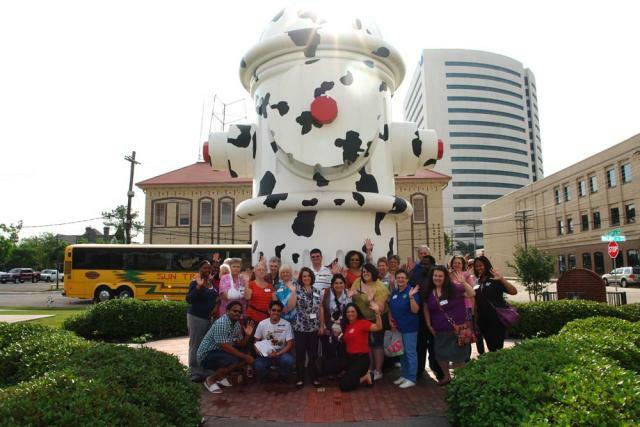 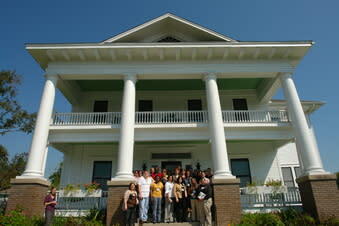 A tour group poses for a photo in front of the stately Chambers House Museum, one of Beaumont's newest historical homes available for tours. 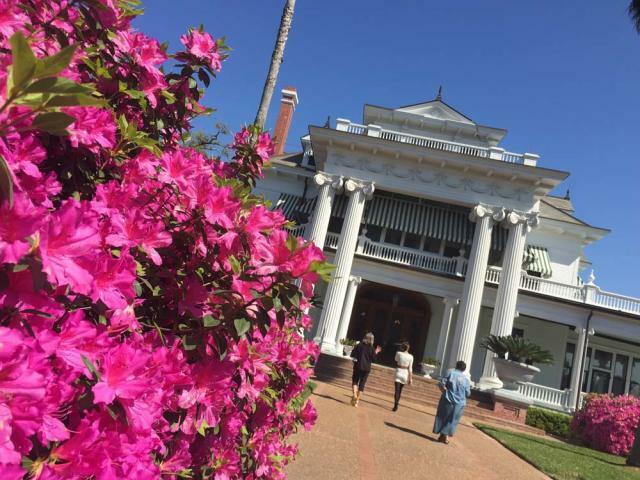 It tells the intriguing story of the Chambers Family, a middle class family growing up in Beaumont on Calder Avenue during the 1920s to the 1980s. 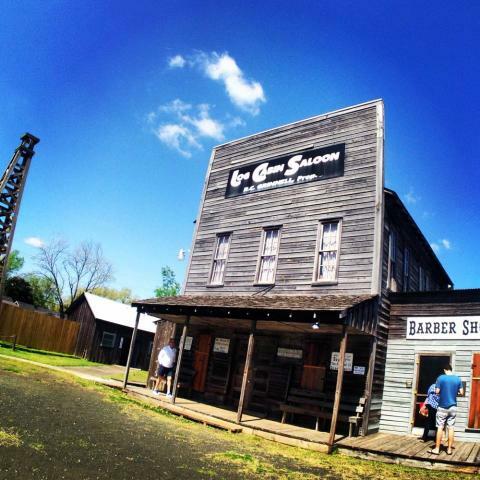 Gator Country's Big Beau says hello. 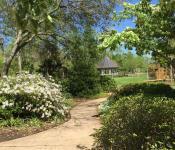 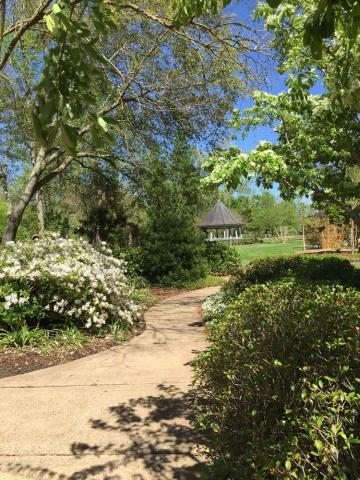 Stroll the gardens and smell the roses. 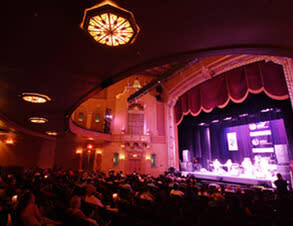 Built in 1927 and restored in 2007, the Jefferson Theatre was named Best Restoration Project in Texas. 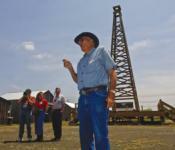 Frank Henley, aka The Gusher Man speaks to a group of onlookers at the Spindletop/Gladys City Boomtown Museum.